For the latest up dates and software drivers, look on the web at www.sharp.net.au. This includes customer equipment previously labelled permitted or certified. should contact your equipment supplier for further details. waiting, you may experience communication errors. Pulse dial may not be available in some countries. This equipment complies with the requirements of the Directive 1999/5/EC. Η συσκευη αυτη ανταττοκρινεται στιζ ατταιτησειζ των οδηγια 1999/5/EK . COURANT SECTEUR ET LA BATTERIE. when connecting USB devices, IEEE1394 devices and PC cards). Charge the battery pack only with the AC adapter included with your computer. Pentium is a registered trademark, and Celeron is a trademark, of Intel Corporation. Refer to Adding a memory module section in Chapter 6.
computer may be slightly different depending on the model. through the entire Operation Manual before starting the system. Turn over your computer on a soft flat surface. compartment and lower it into place. Slide the battery lock button to the locked position. Turn over your computer and go to the next section. complete the Windows setup operation. from the outlet by pulling on the cord. Always grip the plug. Connect the power cord to the AC adapter. orange when you connect AC power. power indicator turns on green when the power is turned on. the Windows Me Setup Wizard. This section configures your keyboard, language and location. This section asks you to accept the Windows License Agreement. This section configures your modem and registers your computer. time you turn on the computer. computer in Advanced tab of Power Option Properties dialog box. In the Power Options Properties dialog box, click Advanced tab. my computer”; then, click Apply and OK.
Close the cover to keep the screen and keyboard clean and protected. disk drive or the CD-R/RW drive. Data may be lost or damaged. without a pause can damage the system. adapter connected to the computer until the standard battery pack is fully charged. The orange battery indicator turns to green when the battery is fully charged. the keyboard, adjusting the display, and so on. begins recharging. Recharging continues whether the computer is turned on or off. battery indicators located on the left-side front corner. Computer is turned off or in System Hibernate. Computer is in System Stand by. appears after the installation, click OK, Yes, etc., to restart Windows Me. lose the data you are processing. computer. Activate the switch with a straightened paper clip or similar implement. some of the functions of the computer. The illustration below shows the location of some important keys on your keyboard. embossed on the function key keycaps indicate the hot-key function. keystroke to turn off the embedded keypad. the Setup utility. See chapter 8 for more information. There are two different Windows keys as shown below. is similar to the right click of a mouse or glide pad. boxed text on the lower half of the key. information box appears for about five seconds in the top left corner of the display. buttons are identified by icons printed above each button. right-click the button to change the settings. See online help for more details. consists of the glide pad surface, a left button and a right button. moves in the same direction as your fingertip. 1. Position the pointer over the object. 2. Press and hold down the left button. 3. Drag the object by moving your fingertip over the glide pad surface. 4. Drop the object into place by releasing the left button. the glide pad, You might scratch or damage the surface. the glide pad to operate incorrectly. You can change the way the glide pad operates in the Mouse Properties dialog box. glide pad so that it operates to your satisfaction. writing to a disk in the floppy disk drive. pressed and the embedded numeric keypad is activated. been pressed and the keyboard is in Caps Lock mode. above or below, or from side to side. Change the screen brightness by using the Fn+F6 and Fn+F7 hot keys. pop-up meter as a visual guide to set the screen brightness. changes to the appearance of the screen under Windows. Appearance, Effects, Web, and Settings, etc. pointer to the edges of the display. Connecting an External Monitor in Chapter 4 for more information on this topic. messages and sound, play computer games with sound tracks, and so on. 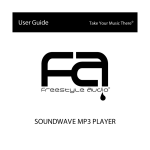 You can control the audio volume by using the audio hot keys Fn+F8 and Fn+F9. capacity of the drive, and other information. required to run all the components of your computer. that are stored on the hard disk. and reference works are shipped on CDs because they store over 600 MB of data. play CD-Audio disks and Video CD disks. • Connect AC adapter to your computer. • Do not enter System Standby/Hibernate. • Do not touch keyboard or buttons on the computer. computer identifies the floppy disk drive as drive A:. it’s very convenient to use a floppy disk. able to read or write data to the disk. or place heavy objects on a disk. Always insert a floppy disk straight into the floppy disk drive. When inserting the disk, make sure it is not upside down. malfunction of the computer and the drive. floppy disk drive unit is not lit. Change the units in the bay by following the steps below. Remove any floppy disks or CDs from the drive if currently inserted. Click icon on the taskbar; then Change device in Swappable Bay (xxxxx). Xxxx is the unit name currently installed in the unit bay. Read the message in BaySwap window carefully (Do not click OK). Slide the latch towards the rear edge of the computer and hold. the unit all the way out of the unit bay. System Stand by/Hibernate may cause malfunction. Turn your computer over and open the upper cover. Battery and Power Management of chapter 3.
power; otherwise your computer will be shut down and data may be lost. If the CD-R/RW drive is installed in the unit bay, use it as follows. Press the eject tray button to eject the tray for the CDs. in the disk tray. Don’t apply excess downward force on the disk tray. Press the tray back into the CD-R/RW drive until it clicks closed. read from the non-label side. Do not mark this surface. Keep your discs away from direct sunlight, heat and excessive moisture. with a soft, dry cloth, wiping straight out from the center, along the radius. When inserting a CD, do not use force. Do not leave the tray open. Also, avoid touching the lens in the tray. If the lens becomes dirty, the CD-R/RW drive may malfunction. paper towels). Instead, use a cotton swab to gently wipe the lens. Install the floppy disk drive into the optional floppy disk drive box(CE-FC02). Simply slide the drive in until it clicks into place. rear edge of the computer. latch on the base of the cover and pull the floppy disk drive out of the box. in the Unit Bay of chapter 2 for installing an optional secondary battery pack. management settings, it may indicate a battery problem. System hibernate, it fully recharges in about 2.5 hours. charging time may vary depending on usage. charged first; then, an optional secondary battery pack is charged. your computer is turned on, the charging time may vary depending on usage. slightly longer battery charging times. charged. If only an orange lamp is lit, it will discharge soon. same as that of the standard battery. The battery low warnings are set in Windows Power Options Properties dialog box. Click Alarms tab, and you can set a Low battery alarm and a Critical battery alarm. before the system shuts down when the battery is fully discharged. battery pack, or connected the computer to a power outlet using the AC adapter. recommend that you ”condition” the battery using the following steps below. indicate that the battery is fully charged. press F2 to enter the setup utility. Control. Press the Space bar to change the value of this item to Disabled. Enter. Press Enter again when the dialog asks for confirmation. to enter the setup utility. management setting in the setup utility to the original state. Turn off the computer and close the display cover. Turn the computer over and lay on a soft surface. Slide the battery lock button to the unlocked position. lift the right edge of the battery pack out of the compartment. Grab the edge of the battery pack and lift it out of the battery compartment. Interface) which is a powerful feature of the Windows Me operating system. 2. Double-click Power Options to display the Power Options Properties window. monitor, Turn off hard disks, System stand by, or System Hibernate. automatically if there is no video activity for 5 minutes. the computer is running on battery power. consumption. You can return to full power by operating the computer again. your computer enters System Hibernate mode last time. in Hibernate tab of Power Options Properties dialog box. • Hot keys Fn+F12 are pressed. 1. In the Power Options Properties dialog box, select Advanced tab. • The power button is pressed. • You select Stand by or Hibernate in Shut Down Windows dialog box. Your computer will resume from System Hibernate if the power button is pressed. battery meter icon displayed on the right side of the Windows taskbar. with the peripheral device as well. 1394 devices or inserting PC cards). USB device, IEEE 1394 device, or inserting a PC card). the computer. If the cable has locking screws, tighten them. Turn on the peripheral device and then turn on the computer. single type-III card at a time. SCSI host adapter, and so on. devices compete for limited resources. show which of the narrow edges inserts into the slot. computer when it is fully inserted. removed first. You can only use a single type-III card at a time. The Windows operating system immediately detects the insertion of the card. dialog box and see the status of the PC card. to identify the card’s drive name. Click the Unplug or Eject Hardware icon in the taskbar. Click Stop xxxxx. Xxxx is your card name. Click OK in Safe To Remove Hardware dialog box. Push the eject button so that it sticks out from the side of the computer. simultaneously, use the 1280 x 1024 resolution. Place the monitor in a suitable location and plug it into a power outlet. on the rear edge of your computer. Turn on the monitor and turn on the computer. The video output appears on both the built-in screen and the external monitor. See the following section for information on switching the display. that you can make adjustments to the monitor resolution and refresh rate if required. click on Properties to open the Display Properties dialog box. Panel in this window) and the external monitor (called Monitor in this window). Click on Apply and verify that the display is the way you want it. change the display settings to this scheme. Click on OK to exit the Properties dialog box. defaults to a simultaneous display on the built-in screen. booting. It might cause the system to malfunction. loudspeaker icon on the right side of the taskbar. one located on the rear side of the unit. single USB port. All you need to do is connect a USB hub to one of the USB ports. Click Stop xxxxx. Xxxx is your device name. the built-in glide pad and the built-in keyboard remain active. Double-click the Add Printer icon. The Add Printer Wizard appears. with your printer. See your printer manual for more information. Read the message and click Next. sure that the printer is ready before clicking the Finish button. Advanced Page in Chapter 8 for more information. is identified as COM1 and is 16550-compatible. standard driver, or use a disk provided by the mouse manufacturer. setup utility. See Advanced Page in Chapter 8 for more information. connect an external PS/2 keyboard. You can disable the built-in glide pad while you connect the external PS/2 mouse. The baud rate for the IEEE 1394 port varies from 100Mbps to 400Mbps. are network for sharing data. connection to the internet through an Internet Service Provider. connected to a digital ISDN terminal or a digital PBX. contact the dealer of the device. both the modem and the PBX may be damaged. Locate the modem jack on the left side of your computer. Plug the other end of the cable into a wall telephone socket. You may have already configured your modem during Windows Me Personal Setup. Otherwise, make the necessary adjustments as shown below. Control Panel options to show the icon. The drivers under the Telephony Drivers tab are pre-installed. number ready before you begin the Internet Connection Wizard. On the Windows desktop, double-click My Computer icon. Panel options to show the icon. and make changes if necessary. Locate the LAN jack on the rear edge of your computer. core for a LAN cable, go to the next step. core and put the cable around the core; then, close the core until it clicks. Plug the other end of the cable into a network hub or another computer. provided core to your LAN cable before use. configurations that are currently in place on your system and to make modifications. You will see information specific to the network adapter built-in your computer. you can set up the file and printer sharing as described in the section below. to set up your system for sharing. click OK to exit the Network utility, you might be asked to reboot. containing the folders that you want to share. Identify the folders that you want to share. Right click on the folder and click on the Sharing option of the pop-up menu. any machine that establishes a network connection with your computer. your computer; a memory card and a port replicator. your system using the spare memory compartment in the base of your computer. and the screws that secures the cover in place. matches the edge connector slot in the compartment. connector into the edge connector slot. of the memory module and hold it in place. Replace the compartment cover and secure it with the screws. Click General tab. You can see new memory status. Follow the steps from 1 to 3 of Adding a Memory Module. Go back to the step 7 of Adding a Memory Module. your computer to the replicator, all the devices are instantly available. The port replicator is a plug and play device. It supports cold and warm docking. connected to the replicator and automatically assign resources as they are required. The port replicator ports are all located on the back side. when you dock the computer with the port replicator. pressing the power button, or resume from System Standby by pressing any key. and then lift the computer from the port replicator. without typing in the correct password. in a secure place. Otherwise, you must ask your dealer for assistance. turn it on again, and enter the correct password. are controlled by the holder of the Supervisor password. The following items can only be changed if you know the Supervisor password. Press Enter twice. The system restarts and asks for the password you have set. and user passwords and lets the other people know only the user password. the password, just press Enter. delete the password, just press Enter again. and User Password on the previous page. have already installed a Windows password you can skip steps 1-4.
cannot find the icon, click view all Control Panel options to show the icon. Use the Change Passwords tab to install a password for windows. Restart your computer to complete the password installation. Power Options Properties dialog box. locking the other end of the cable in the slot on the left side of the computer. 4. Press Esc to select the Exit Page. bar to the Exit menu across the top of the screen. Use the Up and Down cursor arrow keys to select the items on each page. values that can be installed for each item. Use the Esc key to display the Exit page of the setup utility. Use the F9 key to install the items of the setup utility with default values. Use the F10 key to save the changes and exit the setup utility. On items marked with a triangular pointer (), press Enter to display a sub-menu. Press Esc to close the sub-menu and return to the original page. key or Minus keys change numbers. plus Plus keys and F5 key or Minus keys change numbers. Floppy Disk Drive Always sets to 1.44MB,3½. You cannot change this item. detects the hard disk drive in your system. Press Esc to return to the Main page. detects the CD-R/RW drive in your system. Press Esc to return to the Main page. is first started. It is recommended to leave this at the default value LCD&CRT. Esc to return to the Main page. System Memory Shows the size of conventional memory. Extended Memory Shows the size of extended memory beyond 1 MB. Port mode), EPP (Enhanced Parallel Port mode) or Output only. Supervisor Password Is Shows the current status of the supervisor password. user password unless you have set the supervisor password. Set Supervisor Password Sets the supervisor password (up to eight characters). the user password unless you have set the supervisor password. disk drive. User means everyone can access the floppy disk drive. Windows Power Option Properties program. ACPI, you can use the items on this page to manage power on your system. CPU speed is always high, and Low means the speed is always low. management, or have it operate only when you are using the battery. Customized (lets you define your own timeout settings using the three items below). you have chosen Customized in Power Savings Mode. have chosen Customized in Power Savings Mode. Customized in Power Savings Mode. initiated. Your computer can either suspend to RAM or suspend to disk. when battery charge is critically low if set to Enabled. an incoming call is received by the modem if set to Enabled. on the computer’s realtime clock if set to Enabled. Resume Time Sets the alarm time if you have enabled the Resume on Time . is required. It only turns on the cooling fan if further cooling is required. use the Shift plus Plus keys to move it up, or Minus key to move it down the list. Load Previous Setting Returns the values of all items to the values you last saved. This appendix describes how to troubleshoot problems with your computer. for example, the screen is blank, or the computer cannot recognize the disk drives. appropriate manual for possible remedies. Question: Why doesn't the power button function? Make sure the AC power cable is correctly connected to a live power outlet. If the computer is operating with batteries, the batteries may be discharged. Connect the computer to a power outlet. the floppy disk from the drive, and press any key. disk is fully inserted and seated into the drive. Disk is set to the first in the Boot menu of the setup utility. the CD-ROM from the drive and press any key. defective disk or one without an installed operating system). Remove the disk. into the floppy disk drive unit; then check the condition of the hard disk. Check whether the display is on by pressing Fn+F11. seconds and turn the computer back on. fields such as a TV set or radio. the resolution of the CRT monitor. Question: Why can't I read/use a floppy disk? disk drive box or the unit bay. floppy disk drive in the Security menu of the setup utility. four seconds to turn off the system. Five seconds later, turn the computer on. later, turn on the computer by pressing the power button. Confirm they are correctly connected to your computer. Confirm if drivers necessary for operating ports on the devices are installed. Check whether the printer is connected correctly. installed here. If not, click Add Printer to install your printer. Confirm the device is correctly connected with an appropriate cable. "7" for local, "1" for long distance). Turn off the power management and screen savers. Panel or the Main menu of the setup utility. Check the volume control with the Fn+F8 and Fn+F9 hot keys. Make sure the hardware device is not disabled using the following procedure. agents or solvents that may damage the cabinet. Never clean the computer while it is turned on. connected to the system when you are traveling. Fully charge the battery pack and bring the AC adapter and the AC power cord.